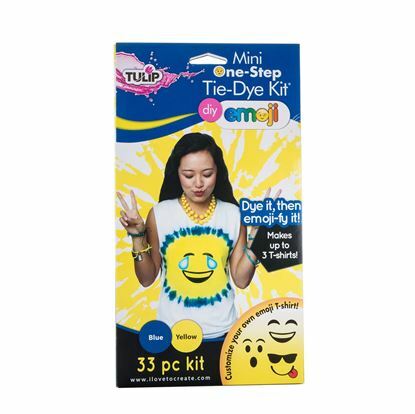 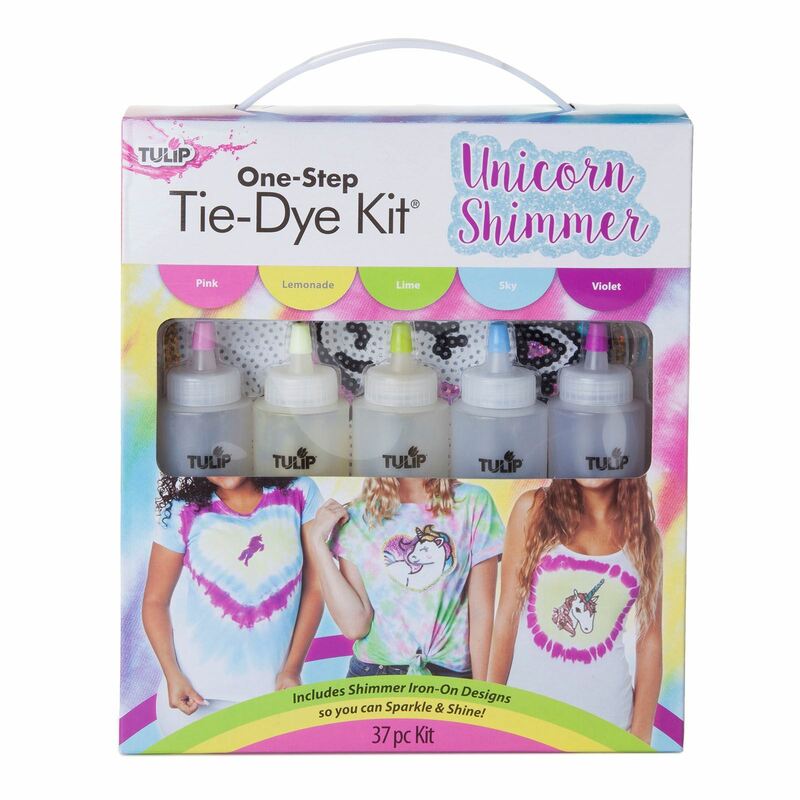 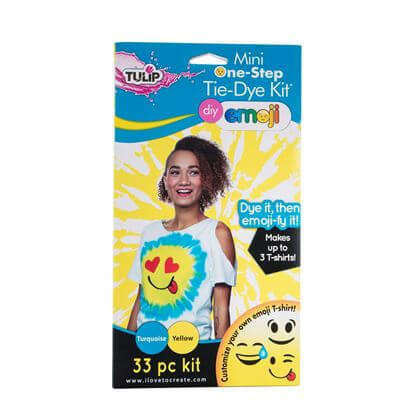 Get whimsical with your look using the Tulip One-Step Tie-Dye Unicorn Shimmer Kit! 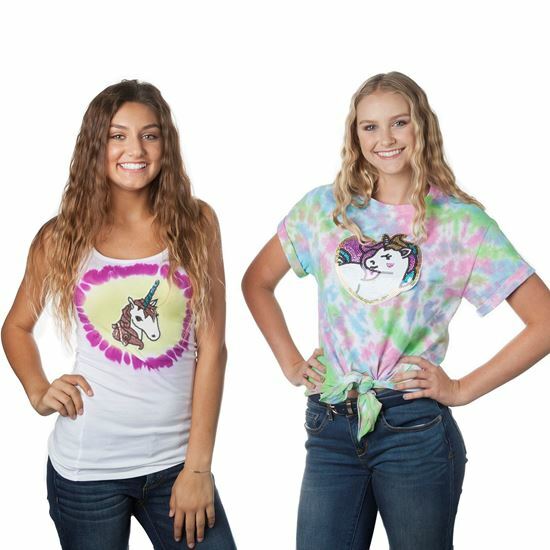 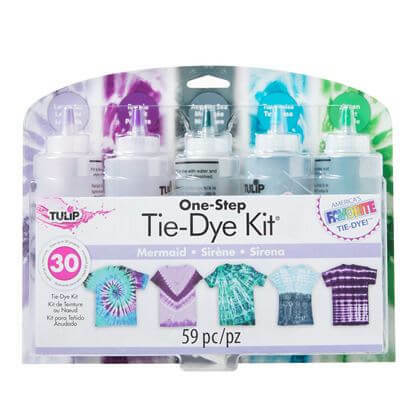 Stocked with 5 enchanting tie-dye colors (Pink, Lemonade, Lime, Sky and Violet), 3 sparkly unicorn iron-on appliques, tie-dye tools and a project guide with step-by-step instructions, this kit is ready to help you sparkle & shine. 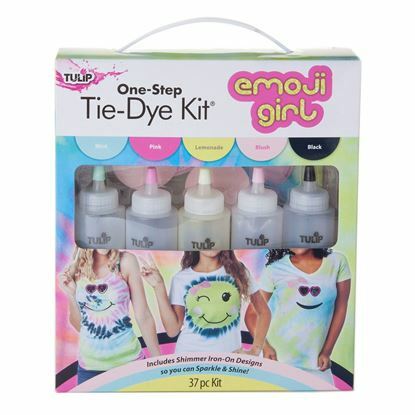 Perfect for parties, group activities or an afternoon with your BFFs. 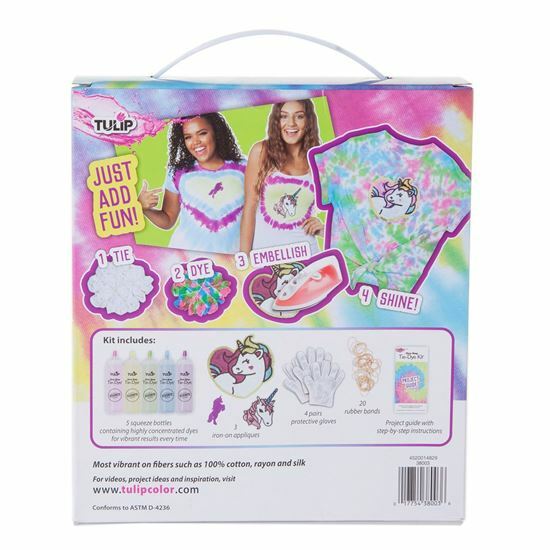 Makes a great gift too!